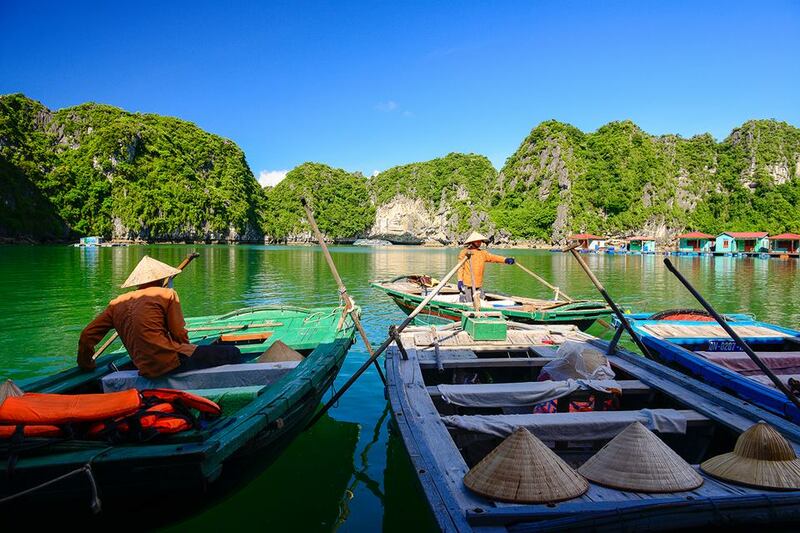 – Incredible 12 day tour through Vietnam with a jam-packed itinerary. 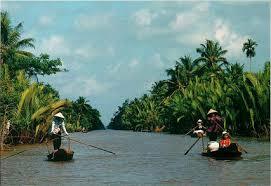 – Depart from Hanoi or Ho Chi Minh city as your option. – Hop aboard an Halong Cruise and sail through thousands of islands, enjoy lunch on-board, explore of the huge Surprise Cave, enjoy kayaking, swimming and barbecue dinner onboard. – Marvel at the architecture in Saigon City including cathedrals and one of the oldest temples. After having breakfast the tour guide and shuttle bus will arrive to pick up you to join Hanoi city tour at 8.30am. You will start the tour by visiting Ho Chi Minh Mausoleum and Ho Chi Minh Museum. Enjoy the architectural and historical aspects of Uncle Ho’s final resting-palace. Just next door is Ho Chi Minh’s house on stilts where he used to live. Lying on one side of the Mausoleum is the One Pillar Pagoda, built by King Ly Thai To in 1049 the structure has become an important symbol for the people of Hanoi. Continue to visit the Temple of Literature (Quoc Tu Giam) – Vietnam’s first University constructed in 1070. Its gardens and well-preserved architecture offer a relaxing glimpse into Vietnam’s past. Have lunch at local restaurants. Proceed to visit the Ethnology Museum. After that we will take you to Hoan Kiem Lake, see the peaceful water, and visit Ngoc Son Temple. Take an hour cyclo tour around the bustling old quarter to see the ordinary life in Hanoi. At 18.00, Back to your hotel. It’s your free time now to have dinner and a short while to explore the streets of Hanoi. After your dinner, around 20.00, Our tour assistant pick up from your hotel to go to Tran Quy Cap train station. He will lead you to your cabin on the train. The train departs for Sapa and sleep the night on train. Travel time approx 9 hrs. At 6.30 am, arrive at Lao Cao station. We will pick you up at Lao Cai railway station by bus, to take you to the township of Sapa which takes approx one hour. After breakfast and a morning shower, start the first 6km of walking down to the south east of Sapa along the side of Muong Hoa valley to Y Linh Ho village of the Black H’mong. Continuea a 2km of trekking down to Lao Chai village of the H’mong. Lunch at a local family, and then walk through terraced rice fields to Ta Van village of the Dzay minority people where we stay for the night. It gives you a worth chance to learn about the local house architecture which is full of their daily life styles and exclusive custom. Enjoy the landscapes. Overnight in a local house of a friendly Dzay familly. Enjoy mountainous landscape with your sunrise coffee, then enjoy a delicious breakfast ready to trek through bamboo forests towards Giang Ta Chai waterfall, cross over a rattan suspension bridge and enter Giang Ta Chai village which is inhabited by the Red Zao minorities. 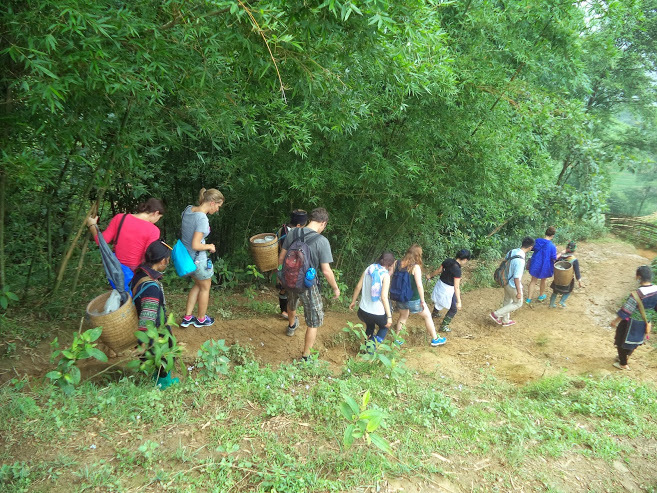 Here we will experience their daily life then cross over the Muong Hoa River up the mountain to visit Supan village of the H’mong people. We then take the bus back to Sapa. Take a fresh shower in our hotel in Sapa. At 17.00, get a transfer to Lao Cai station and going back to Hanoi on a night train. Overnight on the train. Around 5:30 AM, you will arrive Hanoi. Our guide will pick you up at station then take you to hotel. You will have free time to relax and have breakfast before starting Halong Bay Tour. Trip finishes at around 17h00. You are free to relax and overnight in hotel in Hanoi. Flight to Da Nang and transfer to Hoi An Ancient town. Overnight at hotel in Hoi An. 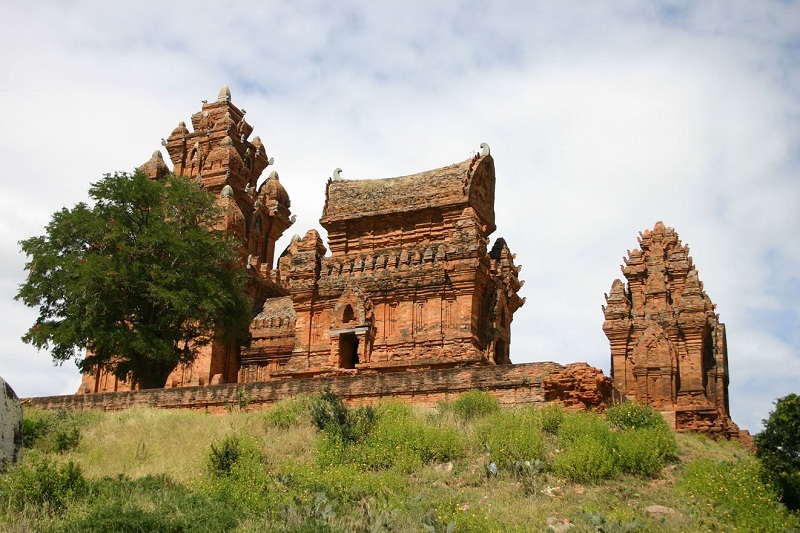 Morning, at 8.00, Our guide picks you up at hotel and leave Hoi An for visiting My Son Holly Land – the ruins of Cham people and was an imperial city during Cham dynasty. Here you can have more chance to explore and understand of technique of Old Cham people in making red bricks to build Tower which still now a secret to everyone, you can see a large complex of religious relics that comprises more than 65 architectural works. It also surprises for those who are curious with architectural art. In 1999, UNESCO labeled the Cham architecture in My Son as a World Cultural Heritage Site. Moreover, you have chance to enjoy traditional music performed by Cham girls in their colorful uniforms. 12:00 AM: Leave My Son and transfer to boat – station, get on boat cruise along Thu Bon river to traditional craft village of Thanh Ha pottery and Kim Bong carpentry villages. A snack will be served on boat. 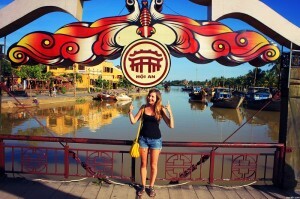 Arrive Hoi An river Dock at 3PM. We pick up from the Dock and transfer to Hue and stay overnight at hotel in Hue. AM: After breakfast, at 08.00, Our guide and driver pick up you at your hotel and then take a full day to discover Hue: visit Emperor Minh Mang’s Mausoleum, Emperor Khai Dinh’s Mausoleum, Performing Programs Of VO KINH VAN AN – Vietnam Traditional Kungfu and Emperor Tu Duc ’s Mausoleums. Stop on the way to see how conical hats and incense sticks are made. Enjoy lunch at a local restaurant. 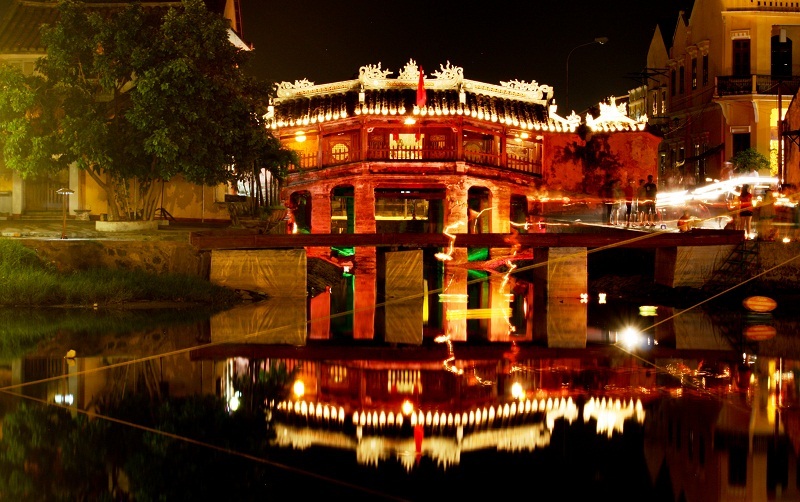 PM: Visit Imperial capital during Nguyen Dynasty and the seven – storey Thien Mu Pagoda on the riverbank. Return by boat on the gentle Perfume River and do not miss the sunset on the river. You will come back your hotel at 17.30pm . Stay overnight at hotel in Hue. You have free day to go around Hue for sight-seeing and shopping. Transfer to airport for a flight to Ho Chi Minh city. Stay overnight at hotel in Ho Chi Minh city. Morning, around 8.00 AM, our guide picks you up at hotel. Option 1: Visit Cu Chi Tunnel. Heading to Cu Chi for visiting Cu Chi tunnel. The tunnel network of Cu Chi became legendary during the 1960s for its role in facilitating VietCong control of a large rural area only 30km to 40km from Ho Chi Minh city. After lunch at a local restaurant in Cu Chi, go back to Ho Chi Minh city. Afternoon, your leisure for exploring the city yourself or go shopping. Stay overnight at hotel in Ho Chi Minh city. Morning, Visit to the Re-Unification Palace, the former palace of President Thieu and his predecessors. Today this building is a museum and venue for Government official receptions. Inside you can visit the President’s room. Nearby is the Central Post Office and the Notre Dame Cathedral, built between 1877- 1883 and is one of the city’s major landmarks. Neo-Romanesque in form, the Cathedral is the major seat of the Catholic religion in modern Vietnam. Continue to visit the War Remains Museum, where you can learn a lot about the Vietnam War. After lunch in local restaurant, you will visit to Jade Emperor Temple, one of the oldest Chinese temples in Ho Chi Minh city. Continue to Binh Tay market in China Town and the last sight we will visit today is Ben Thanh market, where all kind of local goods are offered. Stay overnight at hotel in Ho Chi Minh city. 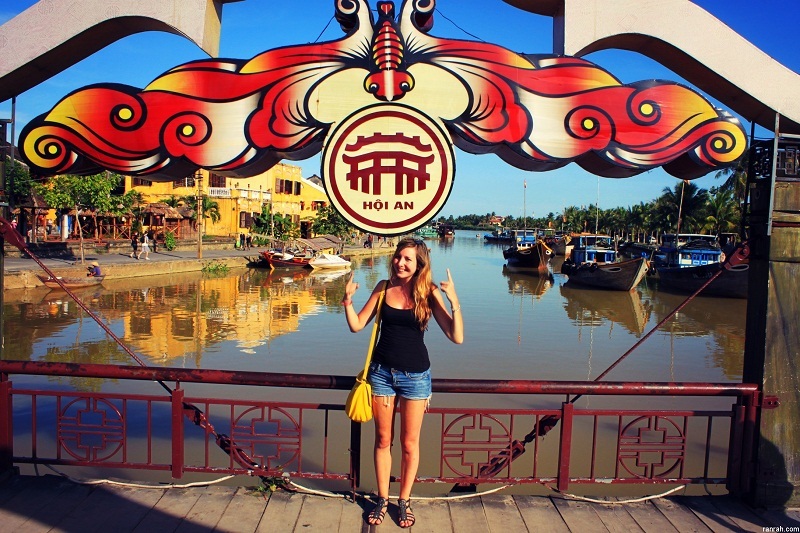 Day 11 : HO CHI MINH CITY – MEKONG DELTA (B, L) shared with other groups. 8 am, after having breakfast at hotel check out and leave Ho Chi Minh city, enjoy the scenic journey along the way bordered by green rice fields. On arrived at My Tho, visit Vinh Trang pagoda, take a leisurely boat ride along the river, view stilt houses, fruit plantations and fishing villages along the river bank. Proceed to Tortoise islet, have lunch in the orchard garden. 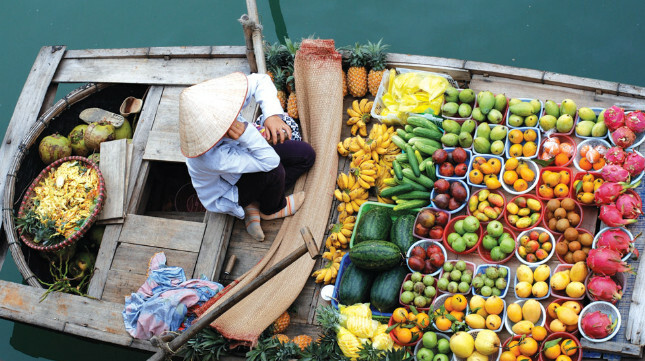 Then a boat ride to An Khanh – a less touristy attraction in Ben Tre, enjoy cruising on a hand-rowed sampan under the shade of the water coconut trees along natural canals, then enjoy seasonal fruit & honey tea to the sound of “Southern Vietnamese folk music”, performed by the locals. Visit a family business which epitomizes the idyllic rural lifestyle, taste delicious coconut candy & observe the pastoral life as you roam through fruit plantations and villages. Proceed to Can Tho. Overnight in the hotel. Free time to visit bustling Can Tho market. After breakfast, Take a leisurely boat trip to explore the picturesque tributaries of the Lower Mekong river ( Bassac River), then proceed to visit Cai Răng floating market (& Phong Dien is optional), which are the liveliest in the whole religion. Have you ever tasted Vietnamese vermicelli soup? Well, now go and see how it is made. Then wander around the village and meet the friendly local people and experience how to cross a “Monkey bridge” which is built by only o¬ne stem of bamboo. Visit the orchard garden. Stop for lunch. Back to HCM city at around 5 pm. Boats in Hue and Mekong Delta. Kayakking: Safe, clean and beautiful. Room on boat in Halong bay with Air Conditioner. Train tickets Ha Noi/Lao Cai return. Meals mentioned (B,L,D = Breakfast, Lunch, Dinner). Transfer and transport as tour program.